Indicador de luz matrícula iluminación para RENAULT CLIO II (1998-2005)ORIGINAL. RENAULT CLIO II (1998-2005). 1x Indicador de luz matrícula iluminación. Referencia recambio original OE Lado de montaje:Trasero. Tipo de bombilla : LED. Calidad de producto TÉRMINOS Y CONDICIONES. 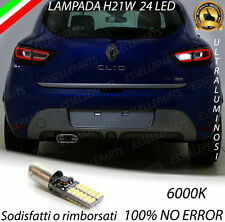 LAMPADA RETROMARCIA 24 LED H21W BAY9S CANBUS RENAULT CLIO 4 IV RESTYLING 6000K NO AVARIA. - Tipo connettore: H21W BAY9S. - 1 lampada H21W BAY9S 24 LED CANBUS. - Led presenti su ogni lampada 24 (12 per lato). RéférencesOEM : 6215.46 - 6215 46 - 621546 - 7701069725 - 77 01 069 725 - 7701061695 - 77 01 061 695. Renault : Laguna 2 - Clio 3 - Modus - Espace 4 - Clio GrandTour. Porte ampoule de clignotant. porte ampoule de clignotants CITROËN peugeot & RENAULT. RENAULT LAGUNA Bombilla Faro. Pieza Bombilla Faro. Año: 01 02 03 04 05.  Pieza defectuosa. Ninguna devolución será aceptada sin previa autorización, excepto Nº de Referencia D2R. Tipo connettore: H21W BAY9S. - 1 lampada H21W BAY9S 24 LED CANBUS. LAMPADA RETROMARCIA 24 LED H21W CANBUS PER RENAULT CLIO 4 IV 6000K BIANCO. - Led presenti su ogni lampada 24 (12 per lato). Tipo connettore: P21W / BA15S. 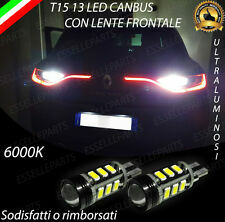 - 2 lampade (destra e sinistra) P21W Ba15S 15 LED CANBUS CON LENTE FRONTALE. BASE: PX26d. E4 TYPE-APPROVAL. XENON EFFECT >5000º K. Google Like us on. Like us on. Useful Links. Get the all latest News, Updates and. There are NO EXCEPTIONS! Renault Laguna III 3 BT0/1. LED SMD KENNZEICHENBELEUCHTUNG. Renault Twingo II 2 CN0. Renault Twingo III 3 BCM. Renault Trafic III 3 Kasten FG. Renault Trafic III 3 Bus JG. Renault Espace initiale V 5 JR. 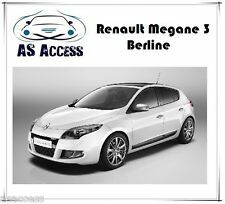 This kit is suitable for all Renault Clio models from 2001 to 2005. 1 x Small 10 amp spade fuse. 1 x H7 plus 1 x H1 Headlamp Bulb (fit's dipped / Main beam headlight). 1 x R239 bulb (interior light). 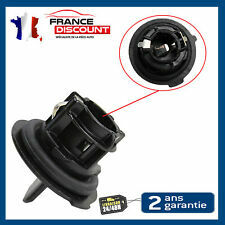 This kit is suitable for all Renault Clio model s from 2006 onwards. 1 x Small 10 amp spade fuse. 1 x H7 Headlamp Bulb (fit's dipped and main beam headlight). 1 x R239 bulb (interior light). The Kit Includes. BASE: PX26d. HOMOLOGACIÓN E4. 2x H7 HALOGEN BULBS. XENON BALLAST. BLANCO 5300ºK. There are NO EXCEPTIONS! Rest of World. Si eligió certificado, 2-4 días. Portalampara trasero derecho RENAULT KANGOO Authentique 4X4, Año: 2005. Referencia : 2277, Observaciones: Conexion de 6 pines. Nós podemos verificar isso. Wir können es überprüfen. Nous pouvons le vérifier. Portalampara trasero derecho RENAULT KANGOO RXE, Año: 2001. Referencia : 2277. Nós podemos verificar isso. Wir können es überprüfen. Nous pouvons le vérifier. BASE: PX26d. 2x H7 HALOGEN BULBS. E4 TYPE APPROVAL. MINIATURE BULBS. XENON BALLAST. WHITE 5300ºK. There are NO EXCEPTIONS! Rest of World. Paire de 2 Feux d'indication de direction. Coloris : Rouge et Blanc. Base en caoutchouc : resistante et flexible. Distance entre les trous de vissage : 80 mm. Plus free xenon 501 sidelight bulbs . 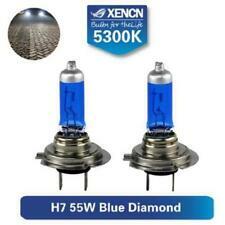 HIGH POWER 55W XENON BULB SET. RENAULT LAGUNA II, versión de 04/2001 a 04/2005 LIFTBACK. 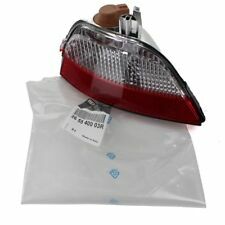 Taillights for Renault LAGUNA 2 II 01-05 Liftback Black LHD. RENAULT LAGUNA II, version from 04/2001 to 04/2005 LIFTBACK. Car body version: LIFTBACK. 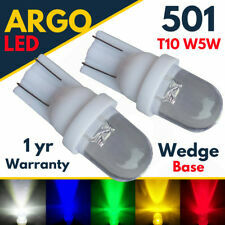 Full interior LED light bulbs SET/KIT- Super Bright, High Power SMD LED. 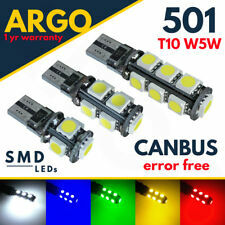 INTERIOR LED SMD BULB KIT WHITE 6000K. 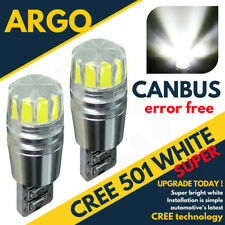 7 bulbs set includes All bulbs are CanBus compatible. If any of bulbs are wrong fitting you can send it back to us and we will be happy to replace it. BASE: W3x16q. 2x T20 BOMBILLAS HALOGENAS. HOMOLOGADAS (E4). para FIAT, DACIA. XENON BALLAST. BLANCO 4200ºK"EFECTO XENON". FIAT TALENTO . There are NO EXCEPTIONS! Esta es la actualización completa de LED para interior van. 3 Samsung de LED por módulo (60LM por LED). 100% incluso distribución de la luz. ¡Salida de luz 1800lm! LED Type 5630 Samsung. Technology LED. 1x Leuchte vorne. 2x Leselampen vorne. SMD LED Innenraumbeleuchtung. 2x Ausstiegsbeleuchtung. 1x Handschuhfach. 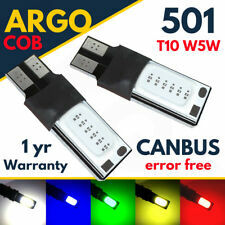 Consists Of Super Slim Digital Ballasts and HB3 (9005) Bulbs.